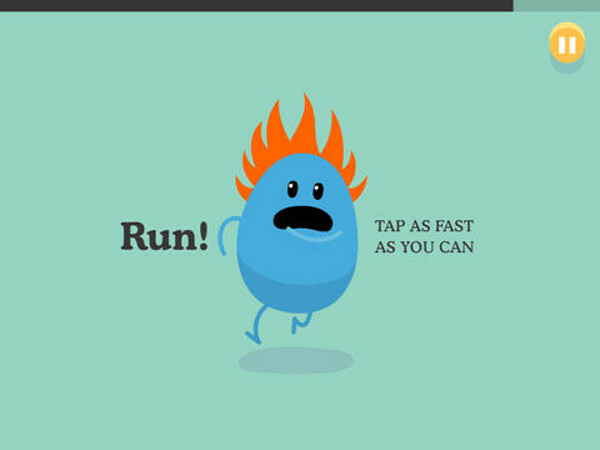 Still the idea of creating a game - and in particular a mobile game - whose primary focus is a long list of dumb ways to die? 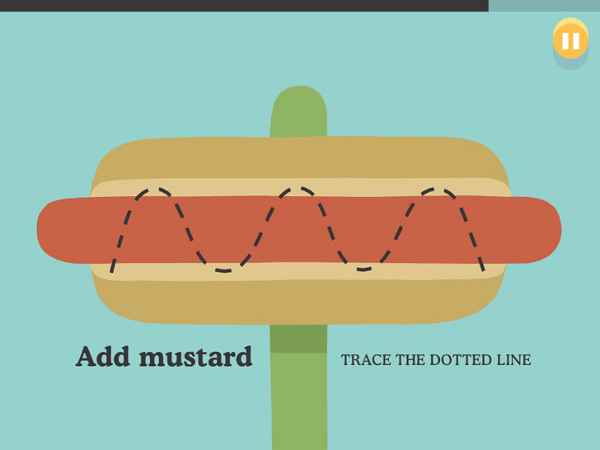 Well that is sheer genius! 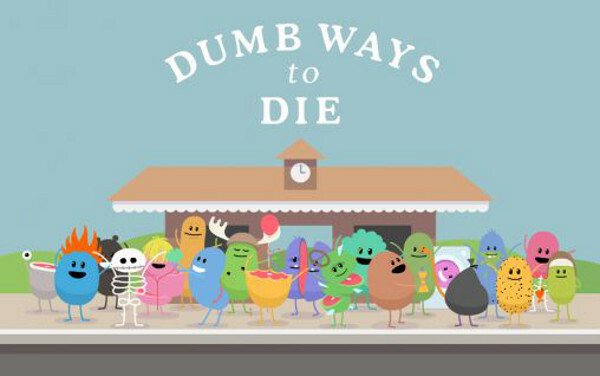 In Dumb Ways to Die you, the player, are presented with - you guessed it - a long and varied list of dumb ways to die - in a video game. Examples include a spaceman without his helmet, not minding the gap on the tube train, or slipping and falling in your own vomit. Did we say dumb ways to die? Perhaps we should have said gross ways to die? The game itself is free to download - the revenue stream appears to be via the in-game advertising, which tends to take the form of short video ads that play between replays... Of which there will be plenty because why? Because you only get three lives, and there are enough ways to die so that if you have yet to experience them all, the gap between seeing the challenge and actually mastering it can be large enough for you to die in the process. Bearing in mind that this is not one of those games with a long or involved story line - well, actually any story line at all - the result is that it is not likely to be the sort of game you play for hours at a go. In fact it is far more likely to be one of the many games you retain in rotation for brief but amusing play sessions. 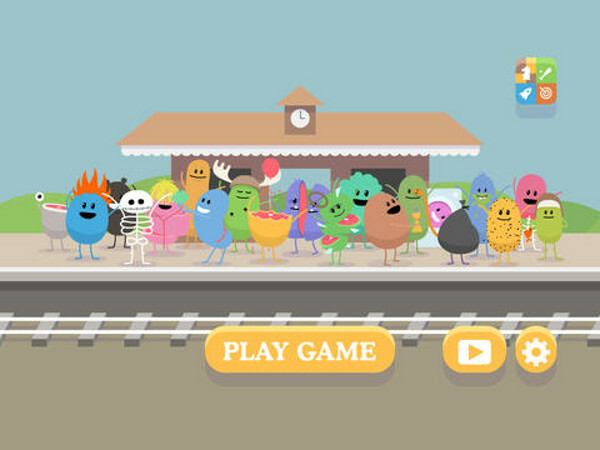 And that is OK, because Dumb Ways to Die was created specifically for the bite-sized chunk sort of play that is ideal for the mobile games platform on which it exists! Once you start playing and get the hang of it, reaching the target scores required to unlock new characters not only gets easier, it actually becomes part of the fun - and make no mistake about it, as simple as the premise is for this mobile romp, it is certainly fun and entertaining. The graphics are dead simple - in fact the best complement that we can pay them is that they are very plain and rudimentary. But that is OK because they do the job nevertheless. Basically what you see is a cartoon-like (very crude cartoon-like) animation whose job is to deliver the puzzle to you in a fun way but so that you can easily understand it. The Sound and Music are pretty much drawn from the same page - that is to say that there IS sound, and music, but it is neither remarkable or memorable. But again that is just fine because this is not a game about the sound effects of the music. So just adequate is good enough. And the sound - and music - in this title is just adequate. Considering what you have to pay to play this one - nothing, nada, zip - you get what you pay for. Well, to be fair you get a lot more than you pay for because even though you are not paying anything at all - and despite having to sit through short video ads - the pay-off in amusing and unexpected ways to die is worth it. We give this one two-thumbs-up! Did we mention that it turns out that Kate Moss really likes DW2D? Well she does! Yeah, so she told an interviewer that Dumb Ways to Die was her fav. We thought we would throw in a naked picture of her just so you know, you understand why that endorsement is so important. And it is! So hey, now YOU can be like Kate Moss - because we shared our review of this great app! Man you totally owe us. Welcome to the glamorous world of My Talking .. Play Fruit Ninja like never before! We've ..